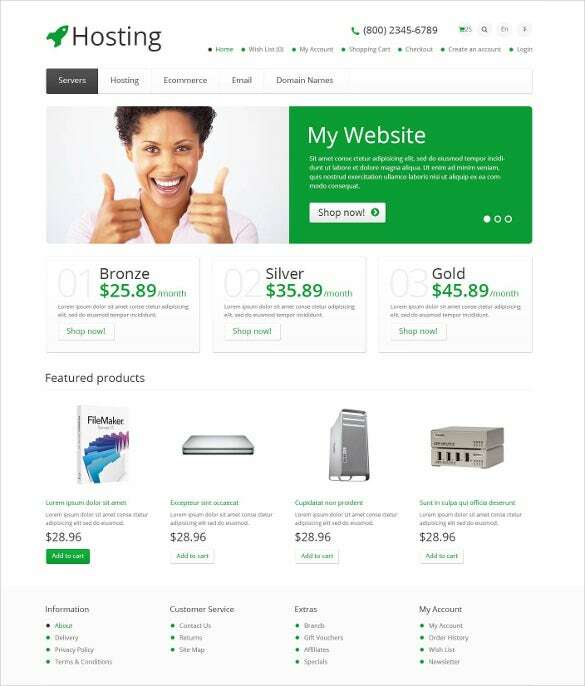 The professionally designed Opencart themes and templates come with an array of high quality themes and functions and is ideal for your website hosting business. The responsive layout of these templates allows your web portal to work on any screen size. The theme is equipped with cross browser compatibility and has social options, favicon designs and Google Web fonts. Your customers will love the templates owing to their back to back buttons and drop down carts which aids in easy and quick surfing. You May also Visit Hosting PrestaShop Themes & Templates. 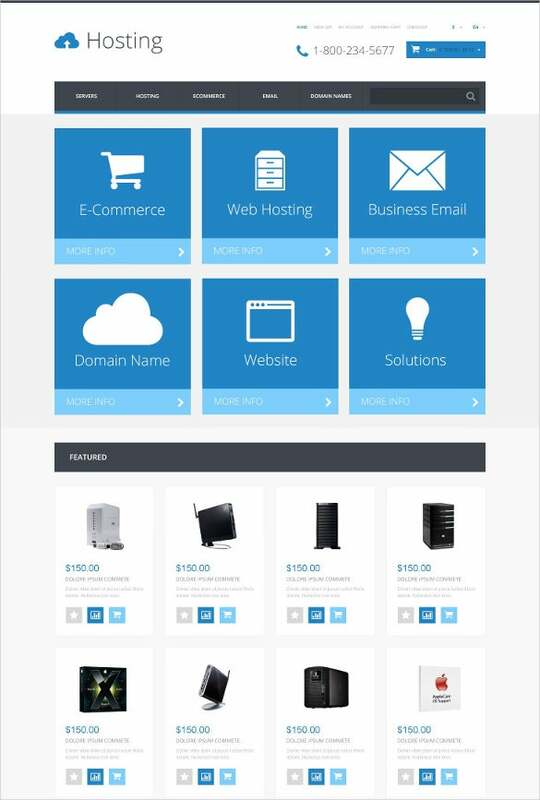 This 100% responsive template is ideal for e-commerce users, web developers and designers. Some of the noteworthy features of this template are that it is equipped with advanced admin panel, customizable modules and sample page templates. The clear blue professional layout is perfect to capture the attention of your customers. 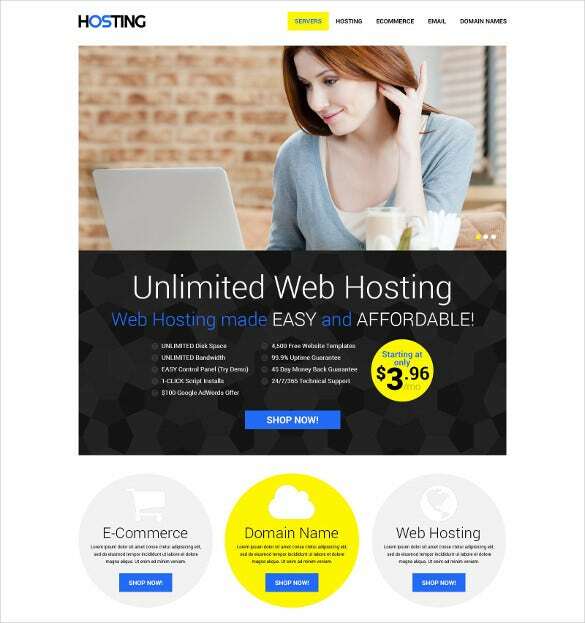 If you are a social media personnel, a blogger or a web hosting beginner, you can take advantage of the 100% responsive Simple Hosting OpenCart Template which comes with customized page templates, back to top button, cross browser compatibility and sliced PSD. Loaded with Favicon, Tooltips and Google Web Fonts, this template is a winner! 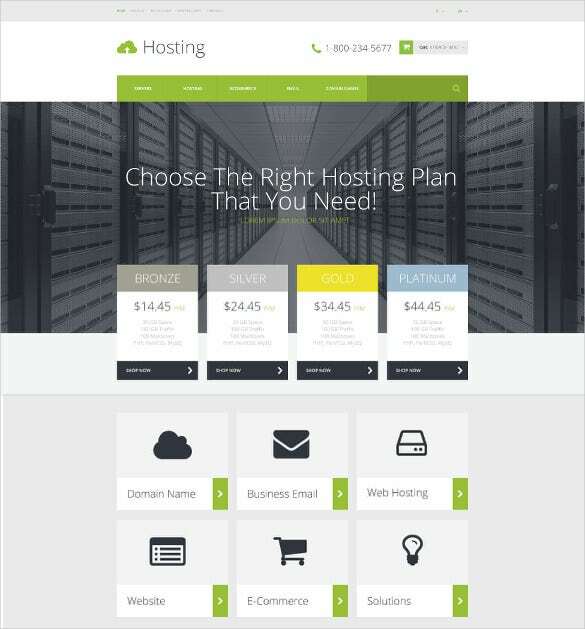 Here, you have a modern and elegant hosting template which comes with social browsing options, custom page templates, advanced commenting system and dropdown menu. The colour and layout of this template is unique and equipped with a customizable menu. Make it your own today, especially if you are a graphic consultant, a designer or an entrepreneur. 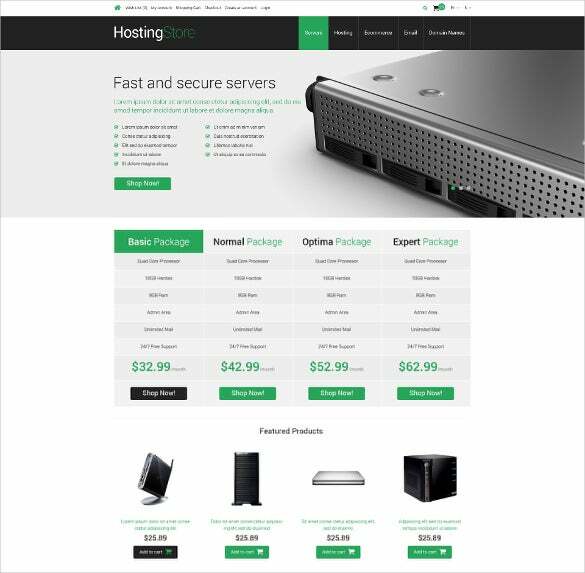 The Responsive Hosting Store OpenCart Template comes with description tabs, add to cart buttons and a striking zooming effect. The smart and intelligent web layout is ideal for ecommerce experts, bloggers and web developers. This template lets you chose from bronze, silver and gold versions, depending upon your requirement. 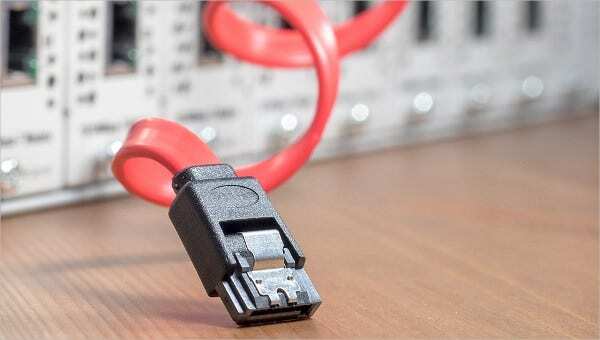 Additionally, your queries will be promptly handled by our 24/7 support team. 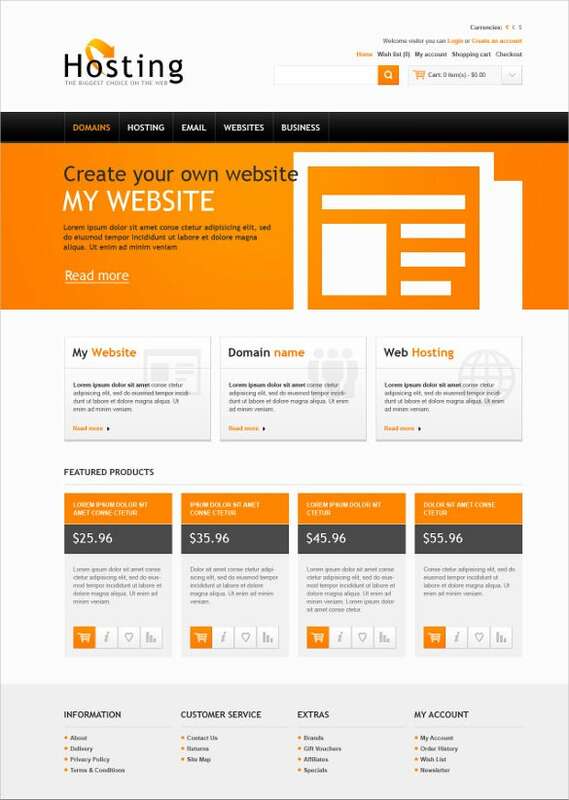 The Hosting Solutions OpenCart Template comes with a clear orange layout and features large legible fonts and a unique logo design. Suitable for business consultants, online stores and bloggers, this template is a cool way to create your own online business portal. You can creatively display your featured products on the home page with elan.